at Chabad you will find a non-judgmental atmosphere, where being Jewish is fun. or just stop in to hang out. If we don't know you yet, we look forward to meeting you! 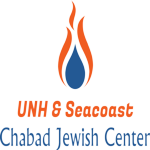 * Our Center is an independent organization, and not affiliated with the University of New Hampshire.